Don’t like hiking alone? Join the club. There are many people just like you who want to get out on the trail but don’t because they are uncomfortable hiking alone. Here are some tried and true methods to help you find a hiking partner. Hiking with a partner can kindle a friendship that will last a lifetime and give you the comfort and safety of not being alone. Wherever your travels take you, we hope that the memories will last a lifetime and that finding a partner will encourage you and others to get out and enjoy Pacific Crest Trail. We hope you find our mini guide to finding a hiking partner helpful and that you make that perfect connection! There are many ways you can find a partner with technology nowadays. Think of it in broad terms: are you looking for a PCT-specific hiking partner or just a hiking partner? Meetup.com is the most active place online to find hiking partners. Join your local hiking groups and start attending trips, classes and information sessions. You’ll find endless opportunities to get outside and meet fellow hikers. If you’re experienced, you can even start leading trips and inviting people on them. Ask your personal social networks. Hikers generally like invites, or at least, they’re willing to help with some advice. 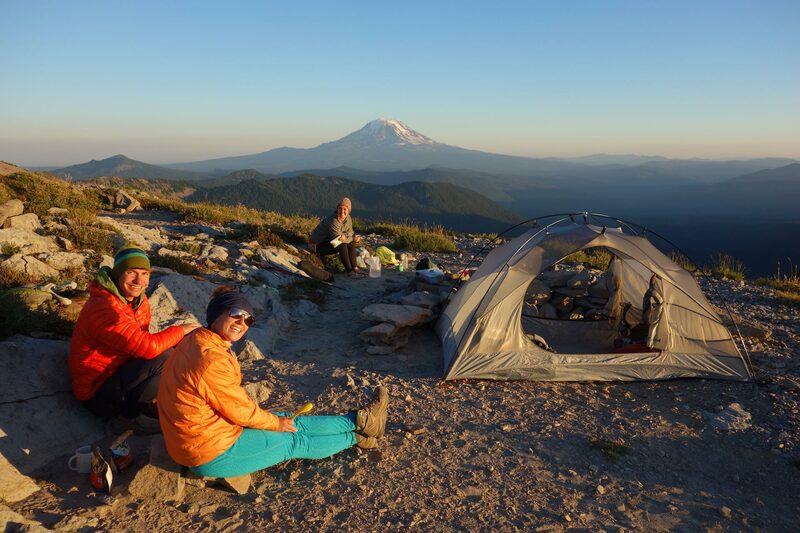 Your friends can help connect you with a partner and give you great insight on gear and other aspects of the trail. Join the conversation on the PCT social media channels. Connect with others curious in getting dirt under their feet. Post a thread with where you’d like to hike, a bit about yourself, your experience, knowledge and what you’re looking for. Relationships are formed at the local level through repeated interactions. Here are some ways to find hiking partners without using your computer. Take the initiative and invite your friends and acquaintances. Sometimes it’s awkward, but don’t presuppose that everyone will say “no.” Even if they do, people like to be invited places. Give it a try. Join your local naturalist clubs. Think mushroom hunting, bird watching, and plant identification clubs. You can generally find out about these groups by contacting your local university or looking at bulletin boards at the grocery store or post office. They might provide you with opportunities to get out and hike trails with great people within your community. At the minimum, you’ll meet other nature lovers. Ask at your local outdoor store. They regularly host lectures and classes that are full of people who are also looking for partners. Join the PCTA volunteer program. All year long, thousands of people get out on the trail and make friends with other trail lovers while volunteering on the PCT. While we don’t organize social hikes, the volunteer projects that we organize are very social and often lead to lasting friendships! Hit the gym. Go often enough and you’ll see the same people over and over. Many of them are just as excited as you to do their next workout in the great outdoors. 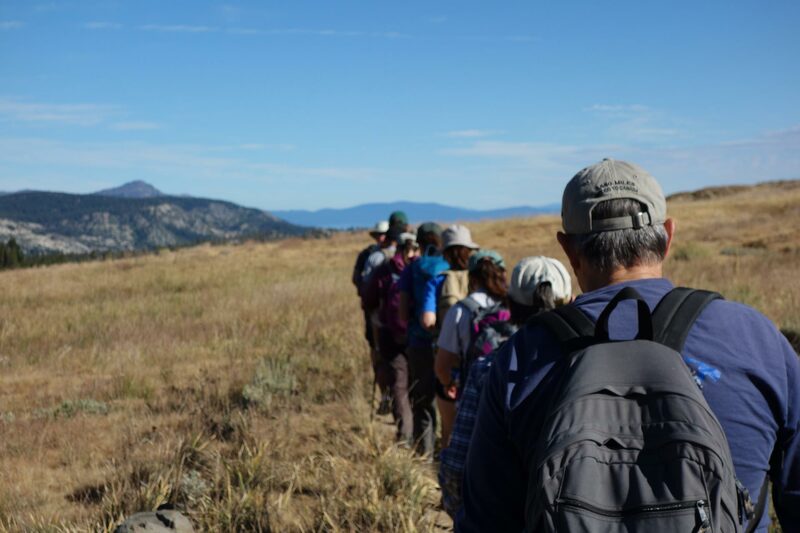 Joining a hiking club is a great way to get out and meet new people that share your passion. Sure, it’s a bit harder to find that perfect someone that matches your style and schedule when you’re hiking for months. Heck, it’s actually crazy difficult. Random acquaintances are going to be a moon-shot. If you’re just getting to know someone, it’s risky to stake your adventure on their partnership. Spend as much time as possible with the person before you commit to being with them for months. Sure, start with them, but realize that you might split ways. Be independent. Ultimately you’re responsible for yourself. A lot of hikers start northbound thru-hikes alone, hoping to find their tribe. If you start at the Mexican border in April or early May, you’ll have plenty of opportunities to meet great people. While the chances are good that you’ll find friends – there is no guarantee that you’ll find a real companion. Not everyone is looking for a new partner and you should respect their desire for solitude. Start lurking in the long-distance PCT community. Remember the earlier advice about using the PCT social media channel? Start joining the conversation. Check out our events board. Come to PCT Days or an ALDHA-West event. Show up for thru-hiker slideshows. Start shaking hands. In other words, put yourself out there.